A 37-year-old man who was sheltering from the rain under a tree on Baseline Road, Colombo died after a branch fell on him causing fatal damage to his spinal cord, a coroner’s court was told this week. 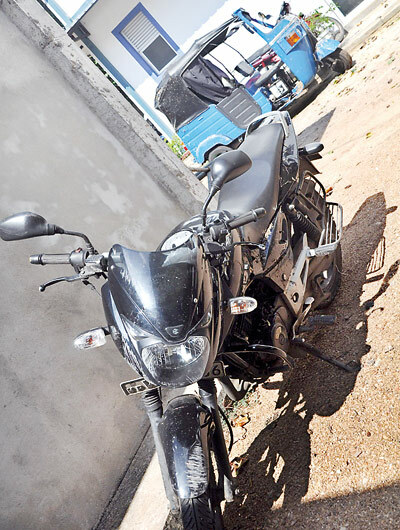 The deceased, Samantha Warnasiri an accountant attached to a shipping company from Kelaniya, was riding his motorbike with his wife when it suddenly started raining. In the hope of finding shelter from the winds and lashing rain the two stood under a tree. Her husband was rushed to the National Hospital immediately where he succumbed to his injuries the same evening. Colombo Judicial Medical Officer Dr. D.P.L. Ratnayake who conducted the postmortem confirmed the death was caused by injuries to the spinal cord. She concluded it was an accidental death.